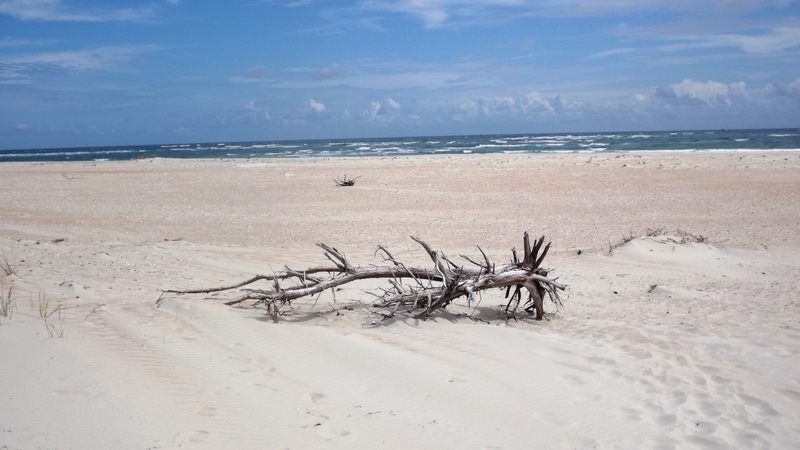 Ocracoke is a 15 mile long barrier island and part of the Hatteras National Seashore. It is accessible only by boat or ferry, and although I wanted to visit there most of our eight years in Raleigh, we never made it. Now we have, and while every itch feels better scratched, I’m wondering how I got bit in the first place. 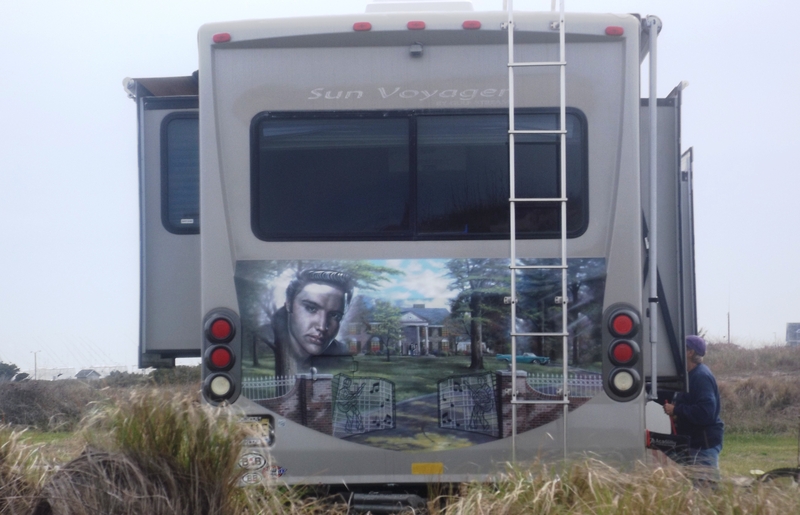 What Is Sal Mineo Doin’ At Graceland? 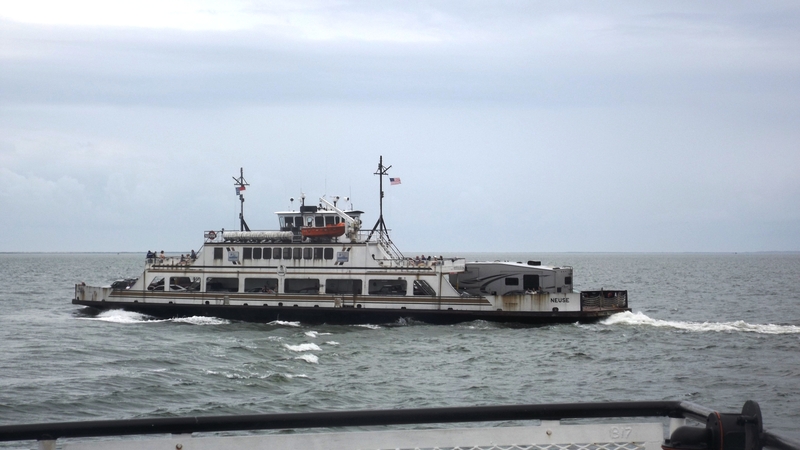 There is a free ferry operated by the State of NC which runs on the hour between Hatteras and Ocracoke Island, NC. The big boats can carry even RV’s pulling toweds, and they unload from the opposite of their loading end. 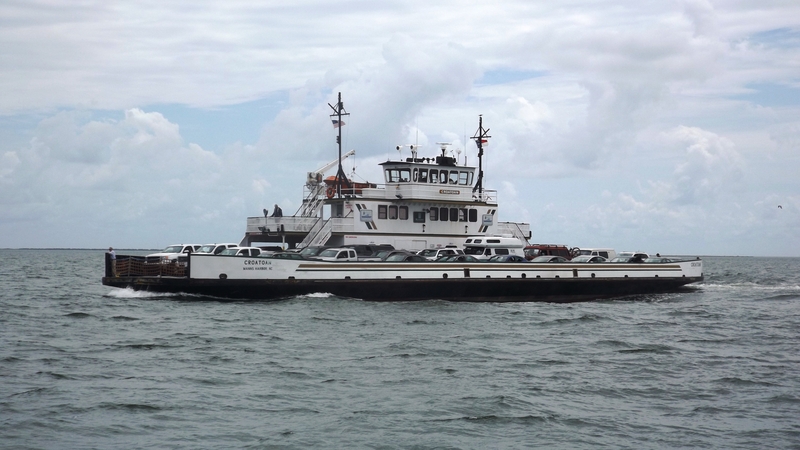 In other words, the ferry’s front and back are symmetrical, and it sails to Ocracoke bow-first, and returns to Hatteras stern-first. Thus no vehicle has to turn around to enter or leave the ferry. Had we known this we might have wanted to camp for a couple of days on Ocracoke. That would have been a mistake. The beaches are lovely if desolate. 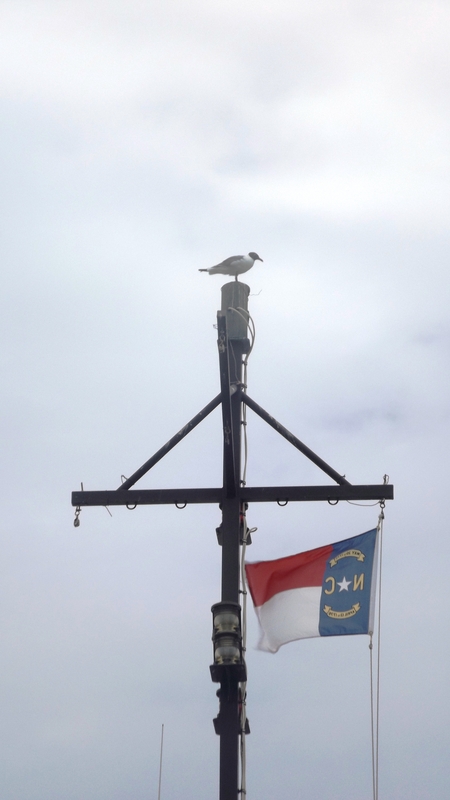 The village of Ocracoke is on the far end of the island away from the free ferry’s dock. (Don’t think you’re going to pedal your cruiser bicycle from ferry to village: that’s a 30 mile round trip.) The village has a dozen restaurants, several souvenir shops, a lighthouse you cannot enter, and a British cemetery where four poor guys sunk by U-boats in WW II will rest until a storm eventually washes the island away. 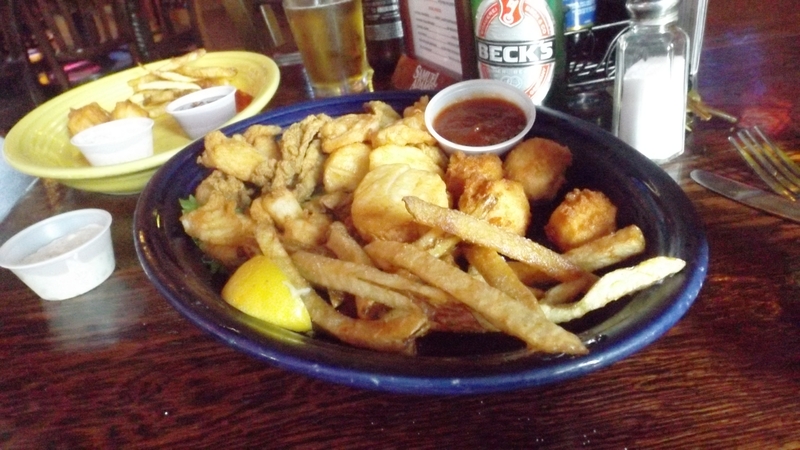 We split a good fried seafood platter at Howard’s Pub, and counting lunch and our half-hour round-trip from dock to village, two hours was plenty to spend on Ocracoke Island. 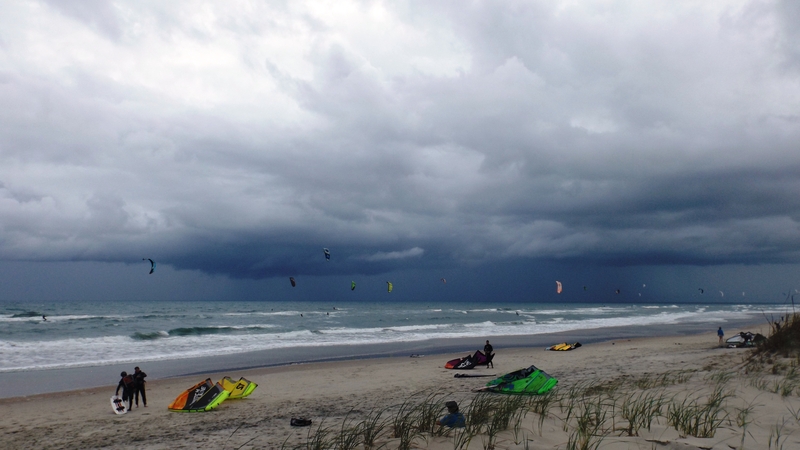 On our 70 mile drive back to Oregon Inlet we learned about a new sport, Kite Boarding. 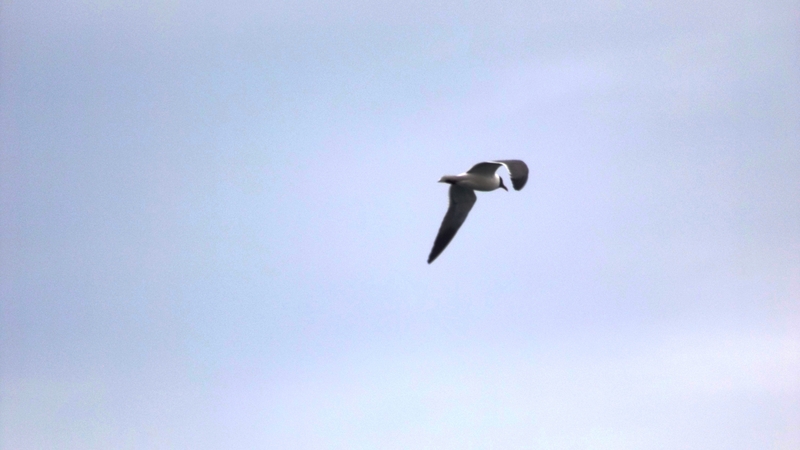 The kites have inflatable frames that keep them stiff enough to fly and above water should the kite go in the drink. The boards are usually short surf boards with foot stirrups that keep the rider on the board during wave crest jumps or when a strong wind gust pulls him or her above the water. 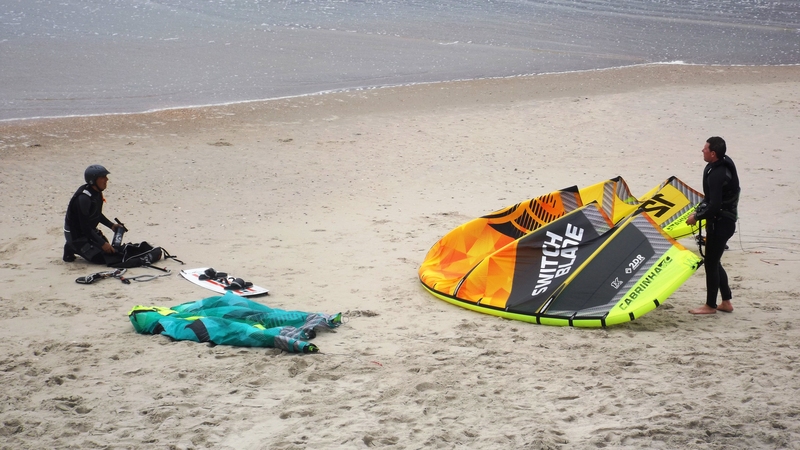 There’s a lot of other necessary equipment – a wet suit, two or three kites sized to match the wind, , a control bar and wires, a waist or seat harness to take much of the pressure off arms and shoulders. Oh, and a sharp stainless steel knife to cut the wires if one loses control of the ride. 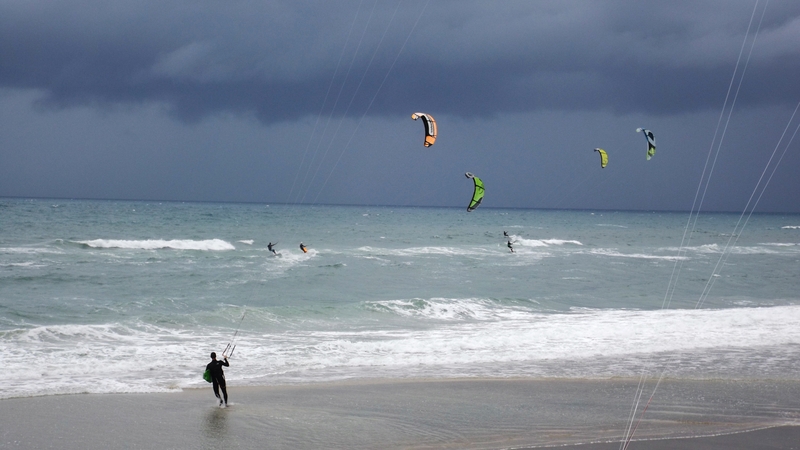 Kite riders like strong winds running parallel to the beach or towards the beach. There is obvious risk of riding strong winds blowing out to sea. We saw mostly guys under kites, but a few gals were out there as well. Kat and I could have done this back in the day. If you can slalom water-ski or stand on a wake board behind a ski boat, you have the strength and balance to kite board. We even saw a couple old enough for bi-focals stowing their gear. But yo, they looked pretty fit for forty-somethings.